The large single bowl scullery or laundry sink is ideal for a busy kitchen. 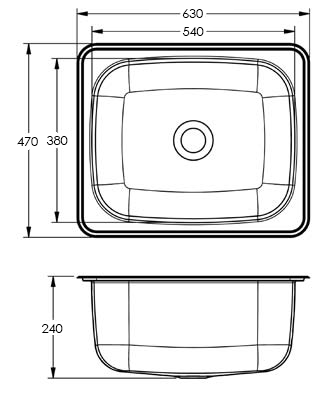 Ever been frustrated that you cannot find a place to wash your large spaghetti or stew pots. Have the family over for dinner and there is just not enough space in your sink or dish washer. 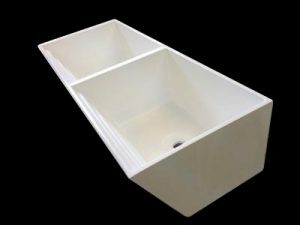 This scullery or laundry sink is ideal for those situations. 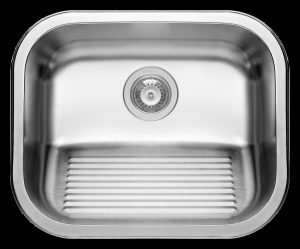 For most residential kitchens a single scullery sink is good enough but if your feel that there is too much dishes, a double sink can also be ordered. 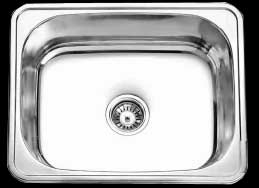 Combination of a scullery sink and scullery table. The table has a waste at the left end and a sloping top with raised edges. 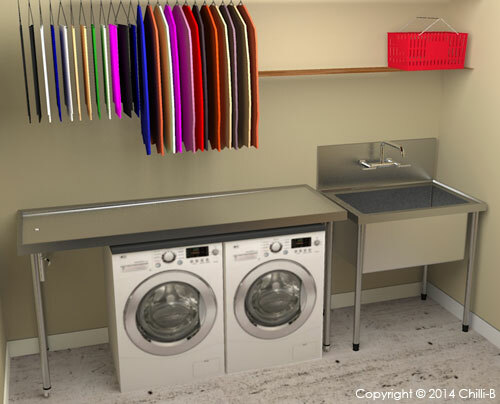 This table is ideal for hanging wet clothes to dry, washing pets or rinsing large objects. An additional hand spray can also be installed in the wall. Table length and width can be customized. 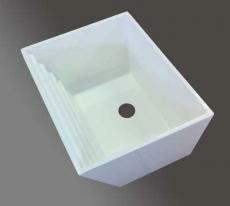 Ideal size is 1500 x 650 mm but we can make longer tables as well. 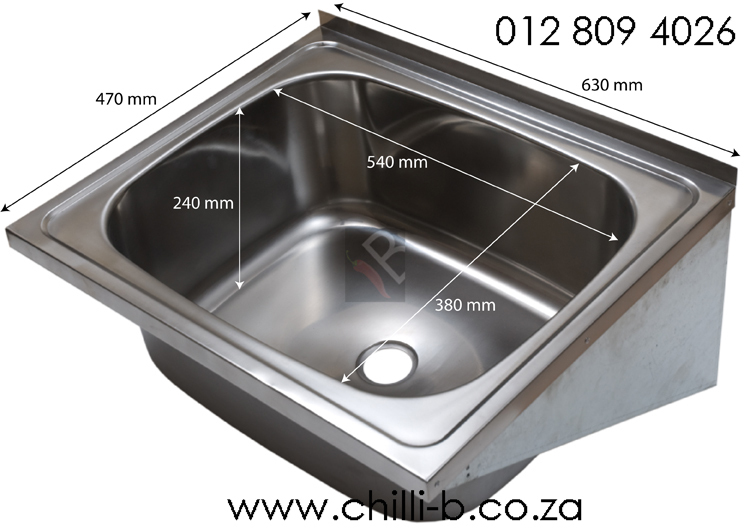 The scullery table and sink are made from Grade 304 stainless steel and will not rust. (1) Optional hand spray with trigger control for easy on and off. 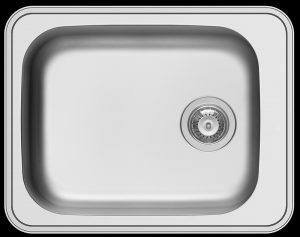 (2) Sloped table top to drain all the water to the outlet. Slope not too angled as to make it uncomfortable. 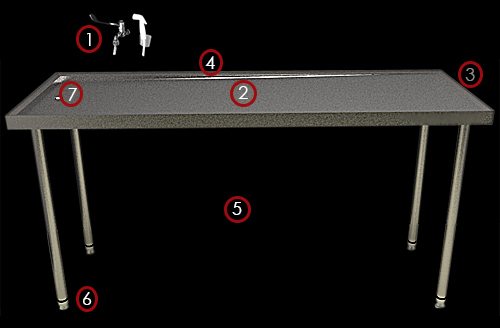 (3) Elevated edge to prevent water spilling over the table onto the floor. (4) Wide table: max length 2400mm. 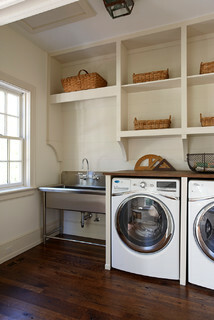 (5) High enough for all most appliances. 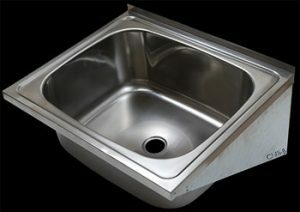 Custom heights are also available. 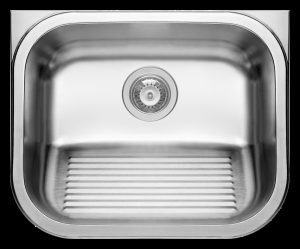 (6) Sturdy stainless steel feet with adjustable feet for uneven floors. 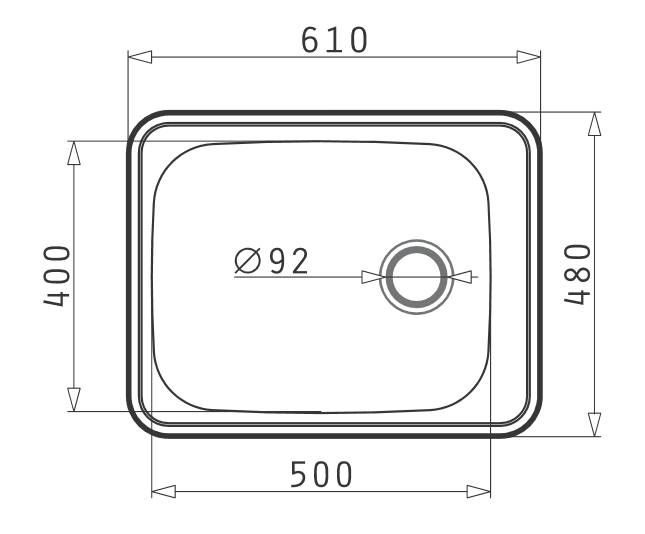 (7) 38mm Drain at the end of the table, so no dripping on the floor anymore.